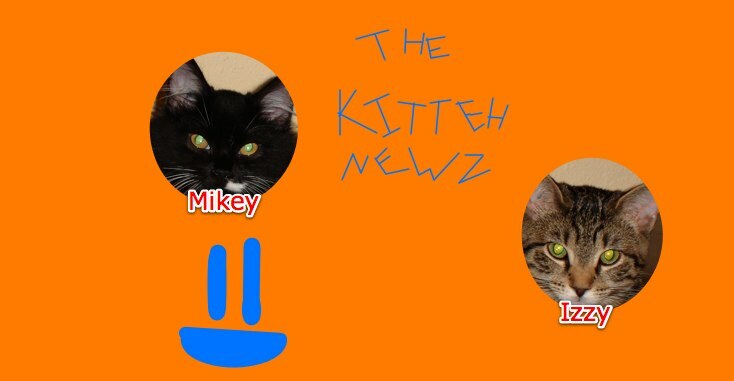 The Kitteh Newz: Story Contest! It starts on: October 3rd, 2009, at 11:30 EST. It ends on: October 10th, 2009, 23:59 EST. 1. Do not submit a story you saw in the news. If you don't have any good ones, you may enter a story of your friend's pet if they say it's O.K. You also may enter a story of an animal at the zoo or in the wild. 2. Tell me which Kittehgory you're submitting your story to. I might be able to figure it out, but I might not so please tell me which. 3. I was wondering when you were going to ask that! Yes, you may submit a funny, amazing and strange story. But submit it under the Kittehgory it would most fit in, e.g. if you had a funny story with a bit of strangeness in it, submit it into Funny. I hope that covers it all! Good luck! Oh, wait, that doesn't cover it all. If you don't want your story displayed, let me know and I'll be sure to keep that private - but if you don't want anyone seeing it, don't submit it at all. =) OMG my back is so itchy from being outside, planting that milkweed and porter weed.. O.K., let's get back to the point. Please send in your Google user name with your story. If you don't have a Google account, send in whatever you wanna be called. Alright, that should list everything! Hi Kira! Nice blog! I'll enter your story contest.